Max was the individual I worked with on my order. The price and quality of the product was great! Max was great and his customer support was amazing. He will always take good care of you. I highly recommend! Just a follow up. We had received a couple of damaged pieces in one of the boxes of our order and he quickly shipped another for no cost. Now that is great customer service. Thanks Max!!!!! Max is the man. We found him through Yelp about a year ago for a small bathroom renovation project. He knew his stuff, made great recommendations, and his prices were great. We are now remodeling again and ventured into his store, expecting to have to build rapport all over again, but he remembered us. Furthermore, he even remembered what we had purchased. We only had to spend 30 minutes and already had what we needed picked out. Thanks, Max! I was looking for a vendor for Porcelanosa and came across Cheaper Floors on one of the house renovation websites. At that point, I had two quotes from a local Porcelanosa showroom in Chicago and another company in CA, but the prices were more than I wanted to pay. I went to their website, cheaperfloors.com, and thought I went to a wrong website, as their website didn't look like something from a tile company. But I called the company anyway, and found out quickly that it was not only a legitimate store, but also the person I talked to, Max, was very knowledgeable and service-oriented. He was willing to ship 160 sq ft worth of large tiles to Chicago. He immediately quoted me a great price and said he'd look into the shipping options to Chicago. The next day, I got the shipping information Max promised to find out. I made a payment with my credit card and I received a receipt by email. It was one of the easiest transactions I experienced on the phone. I received the product in the following week. I haven't installed the tiles yet, but all tiles seem to be intact. I was so lucky that I found this company. This place is the best for all your flooring needs. Max was upfront about the pros/cons of the materials my husband and I picked and had great recommendation after we explained what we wanted. We know we have made the best decision on our new flooring. Terry was friendly and helpful as well. The transaction did not take long. We are so happy with Cheaper Floors! San Leandro is a little far from where I live. When I checked the review of this store, I found I really like the decorations. I decised to take a look, and I'm glad that we did visit this store. When we approached the store, I couldn't find a place called "Cheaper Floors". Instead, there is only one store named "Portofino Floors", and I don't even know what does Portofino mean. "Wow" was my impression when I walked in the store. I thought we couldn't afford everything in this beautiful place. While we were looking around in the store, another customer came. He looked like he likes the owner Max a lot. Before we left, I asked a price of a floor we like. Unexpectedly, the price is super sweet, better than those in the Chinese stores. What's even better, Max gave us a lot of samples to bring home for free. I really appreciate his kindness. Because I never thought that the colors would change so much. It looked like totally different colors in the store and in my house. I like the Porcelanosa tiles in San Jose. I don't think I could afford those, either. Max told me that he gives 40% off for his customers. Now I can buy a better quality tile for a better price. WOW! Finally, we ordered everything here. My contractor loves this store, too. Thank you, Max. All the way from Kansas City. Searched out best pricing and Max definitely delivered! No one else in our area came close to Max's pricing and customer service was great. Completing 4 bathrooms, we came across a few glitches on the way and Max handled everything like a champ! He went above and beyond to make sure we were well taken care of. Local or miles away, give Max a shout. He's got what you need! Great service and price! Max is fast, reliable and honest. Would gladly do business with him again. Highly recommended. 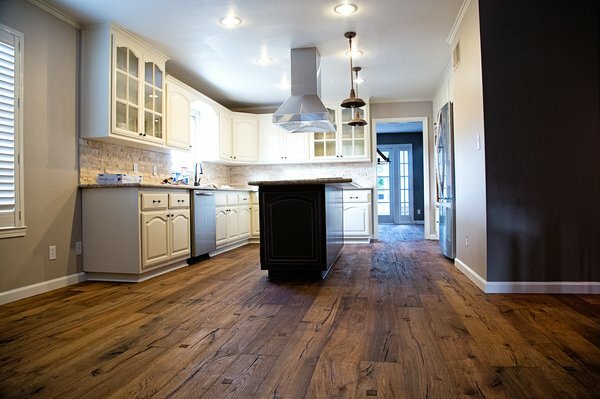 I would like to say Cheaper Floors is a dealer for Provenza floors. i ordered 3000 sy ft of POMPEII lipari flooring and just received it. It was exactly as Max had told me. He had a excellent price on it. I will be doing business with Max again! We bought all our porcenanosa wall and floor tiles here. 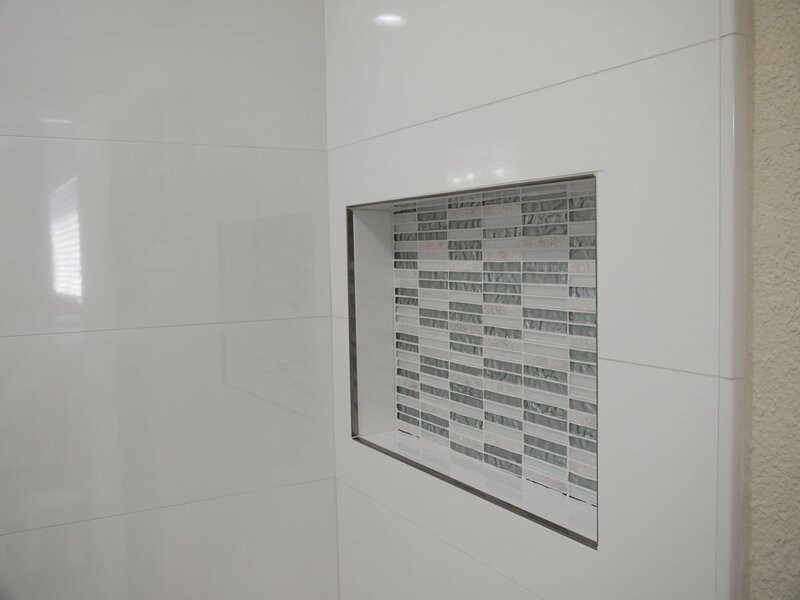 We usually go to porcenanosa showroom and decide which tile to buy and order from here. Max is a nice guy with good suggestions and humor. He gave good price ! More importantly, he allows us to return unused boxes, which is very important during renovation. Because lots of times, you don't know exactly how much is needed, you don't want to buy short, which may cause delay of project. Overall, it's a good experience with cheap floors. Found Portofino Floors by accident after unsuccessfully finding any suitable flooring at the nearby import stores. I assumed the prices would be high at Portofino, but thought I'd check it out anyway. The selection of wood flooring was very impressive with many unique choices. I immediately found the perfect flooring but was sure it would be out of my price range. I was shocked when Max quoted a very reasonable price for a US made CARB compliant wood floor that would probably be double the price at the big box stores. I ended up buying flooring for the entire house and ordered the underlayment there as well since their price was so reasonable. The flooring arrived quickly, is excellent quality and installed beautifully. 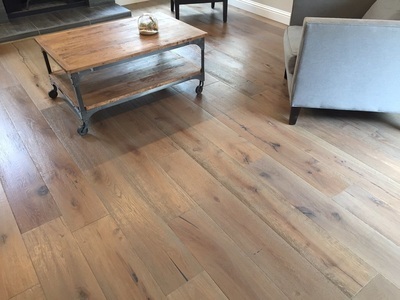 I would recommend anyone looking for woord flooring to check out Cheaper Floors/Portofino Floors. They even paid my gas money when I had to drive back up a second time to get the last part of my order. Max and Terry were very helpful and negotiable, yet no pressure to buy. I am so happy that I stumbled upon this place and would make it my first stop if I ever need flooring again. I would recommend Cheaper Floors to anyone. I am so glad I found Cheaper Floors and went with them to redo the floors in my commercial rental. As a tenant improvement on a business rental I was desperate to keep costs as low as possible and Max was so helpful in advising what kind of materials I should go with, picking a look that would work in my small space and and working with me to find quality materials in my price range. Both he and Terry were amazingly helpful in dealing with my unusual situations for materials transport and even helping me find a (really great!) installer! The floors look amazing and I'm resting easy knowing that I gave my hard-earned money to great people and got quality materials for an excellent deal. I've already recommended them to 3 more people who are doing remodels. Thanks Max & Terry! Again, super happy with our experience at Cheaper Floors given the selection and easy to see display in the showroom. The price was also very fair and seemed well below the price per sq ft listed for the same materials online at competitive shops. Will recommend Max's shop to our family/ friends in the Bay Area as well. "Wow" was my impression when I walked out the store after spending over an hour with Max going through my options. I must have stopped by at least over 7 stores throughout the bay area from Belmont to San Jose, through Fremont and to San Ramon. I have been shopping for Porcelanosa tiles and am happy I stopped by. Note: I am not shopping for a large quantity and only need 40 sq ft. Most of these other stores lose interest immediately - kinda like the same effect when you think of grandma when you are bumping uglies - when I mention 40sq ft.
To my surprise, Max is the owner of the business and not some commissioned sales rep. My experience has been superb, this is how to run a store front business - personable and no pressure. He is extremely patient and easy going, his experienced as a previous installer provides invaluable insight and good recommendations. He offered to let me take home his display pieces without the need to purchased them or leave a deposit (YMMV I think). While I was there, another customer came by and wanted to change an order she had placed a day before, Max explained that he was unable to stop the order as it was already processed with the supplier but told her that it was 'ok, not a problem and that he will take care of it' and she was obviously delighted. There wasn't any hassle! WOW, am sure its not standard and that a restocking fee is pretty common but he was relaxed about it. I placed my order with Max today and am very sure I will be back for more (working on a whole house renovation). I will be comfortable telling my mom, friends and yes even grandma to shop here for their flooring needs. Got the best deal on our Castle Combe hardwood from Max. 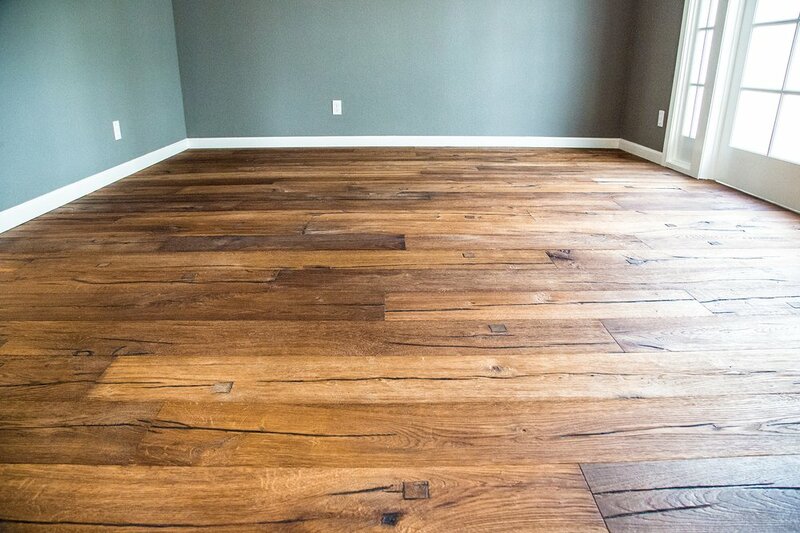 We did extensive research and wanted a rustic floor. Max delivered. Max is awesome!! I was shopping around for engineered hardwood floor and have gone to about 10 stores and Max has the best price out of all the stores!!! I agree with other reviews about Max is one of those guys that treats you like he's been your buddy for a long time and you gotta know how to take his humor. I went to Max's stores several times to take different full size samples home before I decided to go with the color I picked and Max always ask me to take more samples home so I can better compare. But I just feel bad about taking too many so I took at most 3 at a time. Also, I bought my wood floor during Mirage fall rebate and Max reminded me more than once to claim the rebate online before the deadline. He cares about his customers and he also helps to make sure we get everything we need! I will definitely be back when it's time to renovate the bathroom for some Porcelanosa tiles. Wait for me, Max!! 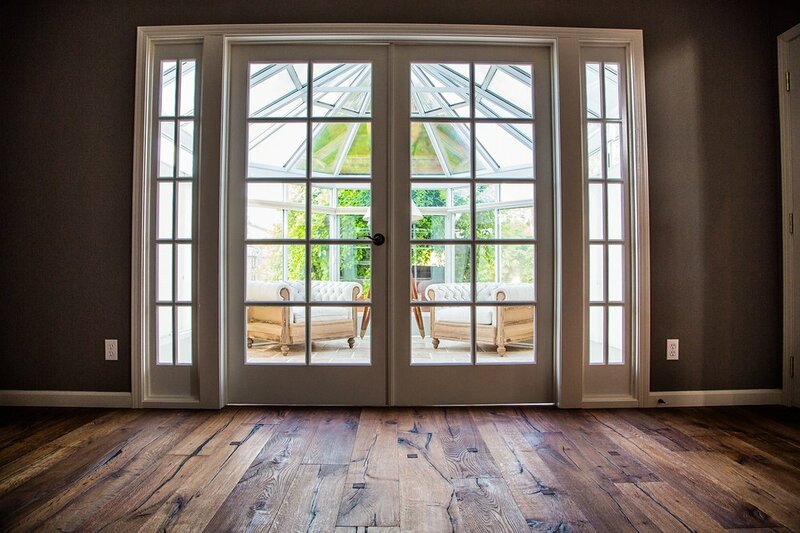 If you are looking for quality floors look no further. 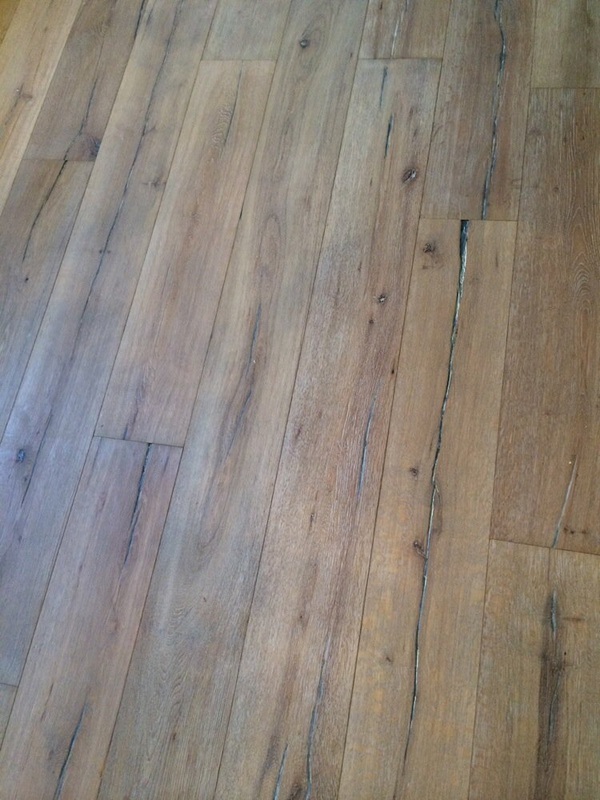 My husband and I were impressed with there huge selection of floors and had a great experience with max the owner. Max is very knowledgeable and friendly. After visiting five different locations and comparing prices, cheaper floors/portofino floors simply had the best quality and the best prices. We went with hardwood engineered floors and they look absolutely beautiful. They are wide plank and hand scrapped. My husband had no trouble installing the floors himself. The underlayment that cheaper floors/portofino floors carries is top quality. Thank you Max for the helping us get our dream floors. I found Max through his website when I was looking for an unique hardwood floor for my house renovation and gave him a try based on people's comments. It ends up the shopping experience is much much better than I thought. Here are a few reasons that I think what make the experience great. 1) Max's store carries the best line of products with so many high class hardwood floors and tiles options. 2) Max is a great person to do business with. He's very straight forward and doing his best to provide solution to me. 3) Max can always give BEST price up front. No much BS process like going to car dealership. You will regret for not checking out with him should you do you house project with fancy floors. We have been to a ton of tile and flooring places in the East Bay and San Francisco. This is where you want to come. the selection is great, the prices are reasonable, and Max is helpful, knowledgeable, and entertaining. He also gave us actual big size samples to take home, without any fuss. highly recommended! This is my second purchase from this fine establishment in three years and Max, the owner, really knows how to take care of his customers! His prices are great, he's flexible, kind and has a great sense of humor. He really takes the time to show the pros/cons of each of his products and has good judgement of what will work best for each customer. Once, I popped in to get samples for my kitchen floor and he invited me to a 'pizza party' complete with Corona beer--it didn't cloud my decision at all! He also has a pool table to shoot on when he's busy with other folks! San Leandro. This was quite a drive for me but well worth it. Max's quote "floored" all the rival quotes without me even telling him what the other quotes were. And his no-nonsense advise on materials and his customer-friendly attitude makes him a double winner. Though I had already selected my flooring material before I visited the shop, I was impressed by the variety and quality/brands of flooring on display. I will be pleased to give him any future business. 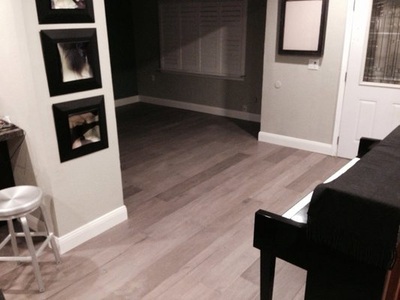 I can undoubtedly proclaim that "Max is the best" when it comes to Flooring. I had to get wood flooring for my staircase and upstairs - little more than 1000 sq ft. Since we had the downstairs already done, had to match the wood - Estate Collection, hand scrapped Hard Maple. Max will go out of his way to ensure you get what you are looking for, at the best price he can offer, and deliver them as quickly as possible. He is a pretty humorous guy to boot as well. I will be spreading the word of my incredible experience with Max and Cheaper Floors. I've been working with Max for over 2 years. I would not go anywhere else for high-end tile - you're wasting your precious time and money if you do. I like high quality products and materials - but I really like it when I get them for a great deal. You will not find a store more aptly named. Cheaper floors is the only place to get your flooring in the Bay Area. We had a great experience with Max buying our tile for our bathroom remodel. He is one of the most honest and fair people that we have encountered in the building supply industry and works hard to get the product to you at the best price he can. We bought porcelanosa tile and can confirm that cheaper floors does indeed have the cheapest prices for this brand. He sells the whole line and you can even pick up the tile at Porcelanosa in San Jose if more convenient for you. We look forward to coming back for the rest of our remodel flooring needs! How can you possibly say anything negative about this place!? - Did I mention, Best prices in town?.....CHECK!!!!!! I went in there after having shopped EVERYWHERE both online and by foot (and car). I had been looking for nice Porcelanosa tile for my bathroom remodel, and almost changed my mind about it because the prices seemed high for that tile. I even haggled a lot of stores only to get a couple dollars off. Then, of all places, I came to THIS place which happened to be down the street from my house....And what do you see when you walk in? Damn near the COMPLETE line of Porcelanosa tile on display! Then Max comes in...Max is as transparent as it gets...He's not going to BS you. If he thinks your selection is ugly, cheap or not for you he'll tell you. If you have something ugly on like a holiday sweater he might even let you know! LOL ....If it's one thing you want in a place where you'll invest your hard earned dollars at, it's a place that you won't get BS'ed. Moments into dealing with Max, you'll feel like he's family, and that you'd known him half your life. These days, finding folks that can do that are rare! F R A C T I O N of the competition. I will NOT give you dollar numbers, but will tell you his prices are LESS THAN HALF the prices of anywhere else I've been in the bay area...And believe me when I say this, because I've gone as far up as Santa Rosa, as far down as Santa Cruz, and as far east as China...(well not quite THAT far, but pretty far). I liked my tile buying experience so much I came back for Wood Flooring. 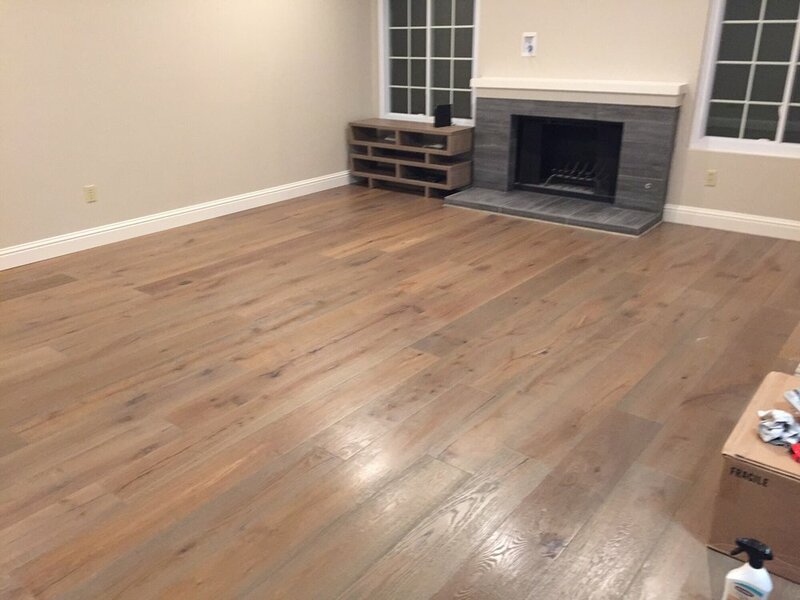 We found the nicest wood flooring you could find, and when it's laid out in my house, I'm sure folks are gonna think my floors cost me 10x of what I actually spent. This place is minimal in staff, so if it's busy, be patient. If you denied this place due to a lack of patience....your loss. Go and spend over double your money because someone else spoke with you sooner. Max is simply great! His price is the best as well as the service. If you would like to get Porcelanosa tiles at best price, don't need waste time at other places, just go to Max directly. Max...I'm writing this review because you really are a great source for a wide selection of exquisite flooring and tile. I've been coming to you for years for my home improvement projects and you make me feel at home in your show room every time. I highly recommend cheaper floors. This last project almost killed me, I could not decide on a flooring and I took about ten different samples home for an entire week and each time I came back, Max loaded and unloaded the samples for me. Today I finally was able to choose! I got a great price on a fabulous floor. Thanks Max! I found this store through Yelp. I first called up the store to ask if they had the tile I was looking for. Max not only knew the tile I was looking for, he even had the price on top of his head even though he did not have the tile in stock. The next day I went to the store to check out some more options and was very pleasantly surprised to see a very neat display. Most of the new tiles were up on the walls because of which I did not have to go through any cumbersome arrangement (as found in most places). Also, Max gave us undivided attention, was very quick to understand my taste and recommended other options too..
His prices are great too. Max definitely looks out for the customer's interest,suggests ways to save money and is very easy to work with. I am very happy I found him. Cheaper Floors is a place that I found online. Went to check it out after reading Yelp reviews. Max was very friendly and gave good advice. He was knowledgeable and easy going. He can get you great deals and I recommend you visit his store for some great savings. He does joke about getting a tip and after a while I thought he was serious and I thought maybe I should tip him because he was giving me some great savings. I did try to tip him and her refused to accept it and said he was just kidding. Anyway, check it out and you will be glad you did. The experience I had at Cheaper Floors was GREAT! From the prices to the service, it was a complete and positive experience. Although not my first tile project, I had no clue as to what I wanted. Max and Christina were quite helpful - asked the right questions and made suggestions. They even stayed after closing on the Saturday of my first visit. I went away with several samples, which is nothing unusual. However, they were willing to let me take several large store displays as samples. After a trip or two, I finally selected what I wanted. I expected sticker shock, because of the quality and type of tile I choose. The 40% discount made the total cost of the materials reasonable and helped me stay within my tile budget. The tile arrived in about a week. I couldn't pick it up for at least two weeks. I received multiple calls letting me know it had arrived. I could continue to recount the details of my experience. What's most important is it was better than any of the previous tile-shopping experiences I had. I would and plan to recommend Cheaper Floors to anyone looking for tile. I found Cheaper Floors on the world wide web when I was looking for the best prices for tile flooring, imagine my surprise when I found out they were located 10 minutes from my house! I went down and met Max, who had the tile I was interested in, and he gave me his large 2 foot sample to bring home and see how it looked. Max has a LOT of energy and he tries to help all of his customers and his phone rings constantly, he is a very busy guy! Even so, I always felt he provided great service and advice. He even recommended a tile contractor to us who did excellent work. When our tile job turned out short and we needed one more box of tile, Max got it for us at no charge - that was so nice of him. I highly recommend Cheaper Floors, their prices were very reasonable and Max is great! 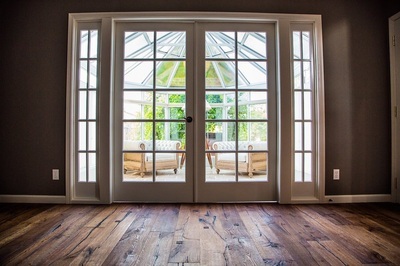 This is a great place to get flooring! Max is very helpful and patient. He was willing to discuss options and he gave good advice, too. Shipping was convenient and the service was amazing. We would definitely recommend Cheaper Floors to anyone! Max was very helpful, gave me (a do-it-yourselfer) advice, and then worked hard to beat the prices I had already gotten. Floor is great and I would definitely recommend. I've done or helped with the remodeling of 4 bathrooms in the last two years and to order tiles, I keep coming back to Cheaper Floors. Max is fast, straightforward, and he will give you honest advice and a competitive price. Highly recommended. I have been ordering tile from Max at Cheaper Floors for a couple of years. He has a really great selection of "quality designer" materials - at prices that beat everybody else. He is extremely knowledgable about flooring and tile - as are his assistants. If you need something, he can invariably get it. If you are tired of the usual materials and want something unique and high end for a very reasonable price, this is the place to go. I purchased tiles for my whole house (new construction project) and not only did CheaperFloors give me the best prices, the service they provided was exceptional. 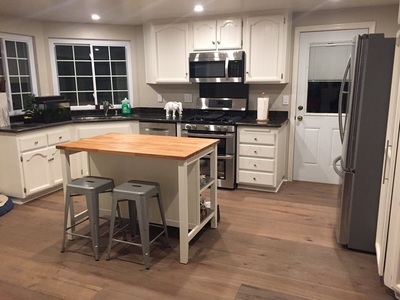 They took care of over orders, shortages etc in a very professional manner and provided me full hand holding throughout the project that spanned several months (6 bathrooms, 2 kitchens, laundry room) at amazingly low prices. Cheaperfloors is definitely where we will be buying flooring from now on. After shopping many other places we went to Cheaperfloors and were very impressed with their show room, flooring, and expert service. Max is the best. He showed us around, answered our questions, and then quoted us a price for the tiles that I had found at other bussinesses for about 40% off retail. Our order took only one week! We plan on using Cheaperfloors for upcoming renovations and hope you will too. I had been looking for good price of high quality tiles all around the bay, then I found Cheaperfloors.com. It has the largest show room which gives you all the options you might be interested, and the nicest team who welcome you and explain everything to you. Besides, Max will help you with some advice, share all the ideas in his mind, and go through the math real quick - he's really smart!! The best about Cheaper floors is the best price you can find around the bay if you are looking for quality tiles!! We'll definitely come back for the next project!! Max and Cheaper Floors is the way to go for tile in the Bay Area. We would have saved lots of time if we had started with him, but we did not know about his store. By the time we found his store, we had already shopped quite a bit. Max has access to all of tile and all the vendors we had already shopped. He beat every single price (without knowing what prices we had been offered). He also helped us improve our selections and save money by recommending other choices. Could not be more pleased, highly recommended. I estimate that by using him we saved about 40% and only had to deal with one store, instead of multiple. All businesses should be like this. Max is a wonderful guy who looks after your interest. He is very honest, helpful, and generous. He does not come across as someone who pushes for hard sale but comes across as someone who is genuinly interested in saving you money and also do the job right the first time. Also, the price is so fantastic that you don't need to shop around. I compare prices like crazy and no one came even closer to Max's price. No doubt in my mind that this place is the cheapest. Big fan and here is why. Buying tile can be onerous, complicated and very expensive. Max will work with you on layout, design and pricing. He is very transparent and will beat your price point. He also has a wide selection and supply chain. Ask for a tile type and he will find it.... source it... and deliver with lightning fast speed. I swept the Bay Area for tiles and he has the best pricing and service offerings, barnone. I did a LOT of homework. We chose modern tiles - he has every style - and a great selection of the glass accents which can typically get pricey. He will find a way to meet your budget and satisfy your taste. You will not be disappointed. Best kept secret in the Bay Area if you are looking for tiles! European tiles, domestic tiles, you name it, they've got it. If they don't, they'll go find it. Prices can't be beat. Max (the owner) tries really hard to win your business. Items are floor models so you will have to order your tiles once they are picked out. Sometimes you do have to wait for a missing bullnose piece, etc cuz its shipping directly from the manufacturer. No pressure to buy. Love it. I love Cheaper Floors. Max is simply awesome. I am working on a bathroom remodel and was looking for Porcelanosa tiles but wanted to find better prices than from Porcelanosa when I found Cheaper Floors! Prices are great. Wonderful selection of tiles. And service was awesome. I came back several times to relook at tiles and each time Max was patient provided great input. I would highly recommend this place! The showroom is very tastefully done and is very big and well organized, so people don't feel claustrophobic in there surrounded by millions of flooring samples. Tile inventory is huge and the prices are the best you can find for the same exact tile anywhere else. Max, the manager of Cheaperfloors.com is incredibly helpful. He is knowledgeable about his product, and he is willing to spend time finding to exactly what you are looking for. When I explained to Max what I needed, he was able to right away find several options of great tiles. Overall, I had the most pleasant and fast experience at Cheaper Floors, and wish all places treated their customers like Max does. We have worked with Max and his team while renovating our master bath. Max is very knowledgeable and helpful, and we had a very smooth and pleasant overall experience. The showroom is big, and we found many attractive tiles to choose from. I have done a lot of comparing during this renovation, and the prices at Cheaper floors are by far the best you can find. We would unquestionably use Cheaperfloors.com again! European tiles, domestic tiles, you name it, they've got it. If they don't, they'll go find it. Prices can't be beat. Max (the owner) tries really hard to win your business. Items are floor models so you will have to order your tiles once they are picked out. Sometimes you do have to wait for a missing bullnose piece, etc cuz its shipping directly from the manufacturer. No pressure to buy. Love it. We are adding a new kitchen, a master bedroom and two bathrooms to our house. I got refereed to Max from a friend and end up brought all my tiles from him. We find him friendly, knowledgeable and responsive. Kristina was very helpful on all the paper works that allowed me to do the last minute pick up from warehouse. Got it all done on time... I strongly recommend this shop and I will go back again if I will need more tile work done. As a designer, I have been purchasing tile from Cheaper Floors and Max (the owner) for over a year now. The service is great and the prices are the best I've found anywhere. I use a lot of Porcelanosa tile and this is definitely the best place to get it. Max is always able to get me samples when I need them and fulfill my orders quickly. Thank you! Cheaper Floors is the place to go if you want high quality tile and wood flooring at a great price. The showroom has a large selection on display. Max was great, and he gave great advice on helping us choose Porcelanosa floor tiles and Mirage hardwood flooring. The prices can't be beat, and customer service is excellent. We just placed another Porcelanosa tile order and will be back as our home remodel continues. Thanks, Max! I purchased an extensive amount of high end tile from cheaper floors. I worked with Max. He was awesome! Gave me samples and was super responsive to my questions! Best price in bay area on Porcelanosa tile. I chose Cheaper Floors instead of the Porcelanosa store in SF because of his great service and pricing. Overall it has been a great ongoing purchase for me (still at it) and I'm happy to recommend Cheaper Floors. When we remodeled our place yesterday I was looking for Mirage flooring and came across Cheaper floors. They had the absolute BEST prices! The service and professionalism is fantastic! In fact a month after I purchased the floors, I came back to Cheaperfloors for my kitchen tiles, again the best price around! Max and Christina are great, always ready to help. I've recommended them to many friends and family. I'm so happy to have found them! Max and his team have helped us a lot over the past year. He has great product, is willing to fit your budget's needs, and he has a pretty good eye for putting his products together for you in ways that work (good design). Sometimes you have to wait some time for some shipments, but if you plan ahead and it really isn't a problem. Christina has really helped us and kept us informed and made appointments for pick-ups. 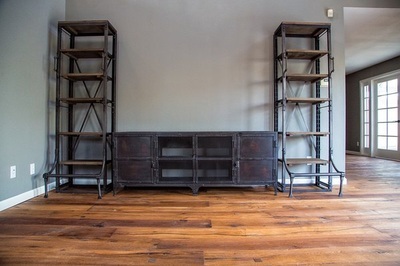 I will use Cheaper Floors for upcoming remodel projects soon. I live in Southern California and am just finishing our master bathroom. We saw the Murray River 1"X1"antique copper tile in a local showroom and loved it. Upon getting a price from the showroom sales person, I knew it was time for the internet. Your sales person was extremely helpful. He knew exactly what I was talking about and saved me a large amount of money. It is a real pleasure dealing with people that are courteous and willing to go the extra yard for customer satisfaction. Thank You Again Cheaper Floors. I just recently remodeled my home and it was an exhausting process trying to find quality brand name tiles at affordable prices. I worked with my designer, who searched high and low for the best deals on tile. I came across Cheaper Floors in San Leandro, CA. They have a huge showroom with an amazing display of Porcelanosa Tiles and so many other vendors. They offered me the best prices, even better than what my designer could get me, and they also have an in-house interior designer that helped me with my tile design and layout, free of charge! I purchased Porcelanosa tile from them at 40% off the retail price and I saved so much money. I was so happy to have found this place. I worked with Max, who was a pleasure and Marla, who is their in-house designer was so helpful and insightful. I encourage you to visit their showroom, or give them a call. You will not find better deals on quality tiles anywhere! 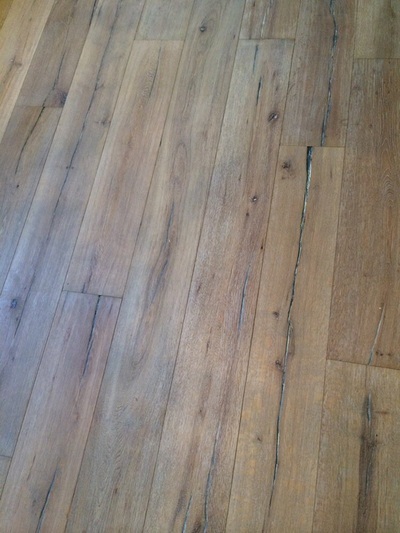 Cheaperfloors.com has a great selection of flooring. Max is wonderful and will offer ...his advice. The prices are the best I found after months of looking. Make Cheaperfloors.com your first stop, you'll save time and money and you wont' be disappointed! All the remodel help and suggestions were greatly appreciated. We are remodeling our bathroom and have been searching for vendors who will give us good prices on Porcelanosa tiles. We went to several showrooms and searched online. Finally, we came across a posting on http://ths.gardenweb.com stating CheaperFloors.com offers 40% off on Porcelanosa tiles. 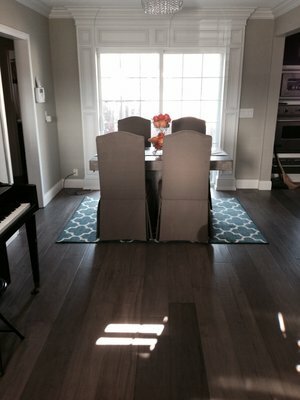 We checked out CheaperFloors.com, and e-mailed them to inquire about the tiles we wanted. The quotes that we got from CheaperFloors were indeed 40% off retail prices. So we quickly called and placed our order. Without a long lead time, our tiles were available for pick up within a few days. Max and his staff were very responsive and friendly. Overall, CheaperFloors.com offers great prices and service. We got a very good deal from CheaperFloors.com. Great service and prices! Max is the best! What a great find! I stumbled across Cheaperfloors.com one weekend when the nearby tile stores were closed. They have a great selection of tile, marble, wood flooring and every accessory needed to complete your project. I found that dealing with Max was a pleasure. He is very knowledgeable about all products carried, can find you product that is hard to get, and he will deal with you on pricing. He is the most competitive retailer I have found with high quality materials for sale. Do not pass this store up! After trying every showroom in the bay area we ended up buying most of our tile here. Better pricing much better service than import tile. Most of what you see has to be ordered. But unlike other companies they can get everything really fast. They were also nice enough to take tile back of which we had bought too much. Best tile store around!! : Thank you Max for being such a great businessman. I appreciated the quick turn around time on our tile and your prompt response to my questions and concerns. I will definitely recommend you to my friends and family!! Wow, I'm going to give them 5 stars because they have such awesome deals!